Fuzz delivers innovative solutions with dynamic growth and expertise in web, mobile apps and social media. We work with clients to implement digital strategies that exceed their expectations. From Fortune 500 companies deploying interactive content across multiple platforms to digital start-ups looking to build their core product, our clients have real-time access to a close-knit agency that’s always listening and adapting. Every project we do becomes a part of who we are, making our clients’ success synonymous with our own. 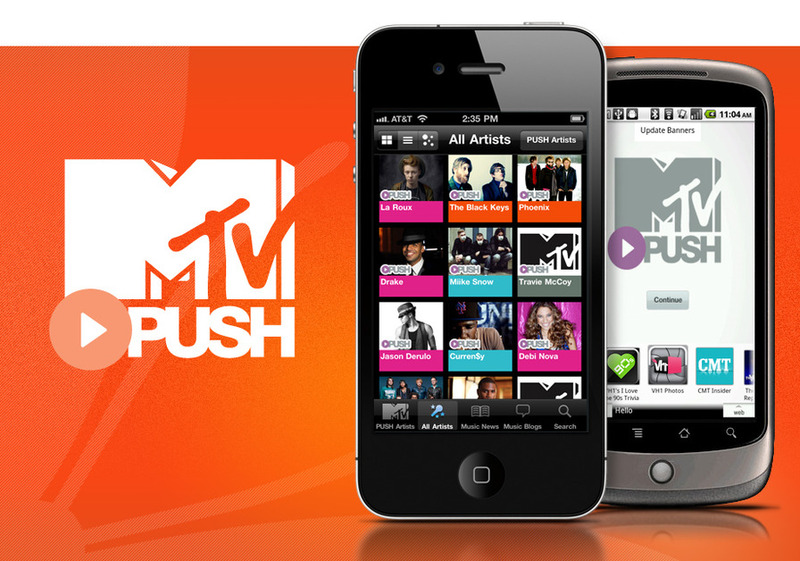 The MTV PUSH app for iPhone and Android helps users find their new favorite band while keeping tabs on all the latest music news. In addition to profiling the PUSH artist of the week, the app features content from a number of MTV blogs and tour information, bios, videos and photos for artists from every genre, from R&B to Indie. Fuzz developed an innovative graphing system that lets users visually explore similarities between artists, helping them discover new music outside of their usual favorites that still matches their tastes.